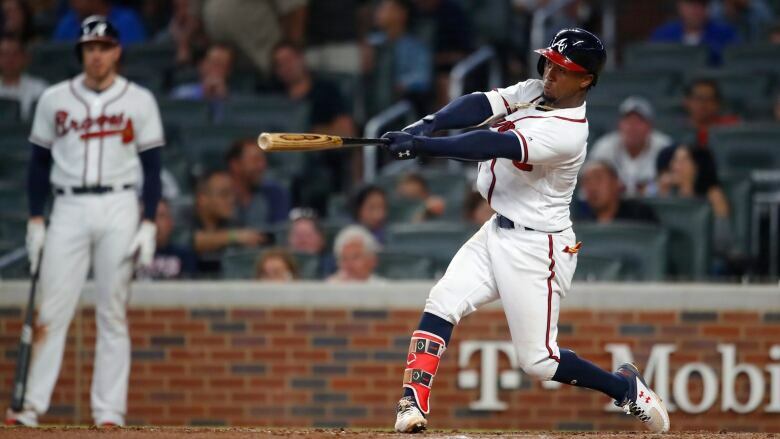 Ozzie Albies snapped Atlanta's power drought with two homers, and the Braves beat the Toronto Blue Jays 9-5 on Wednesday night to move back into a tie for the NL East lead. Ozzie Albies' first career multihomer game was special. He made the most of the night by fulfilling his mother's request to reach 20 homers — a level not expected of 5-foot-8, 165-pound middle infielders.